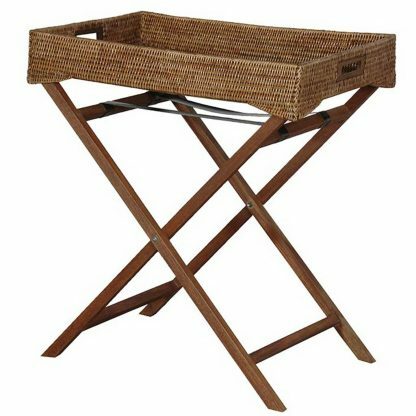 This honey rattan butlers tray sits proudly on a wooden stand. 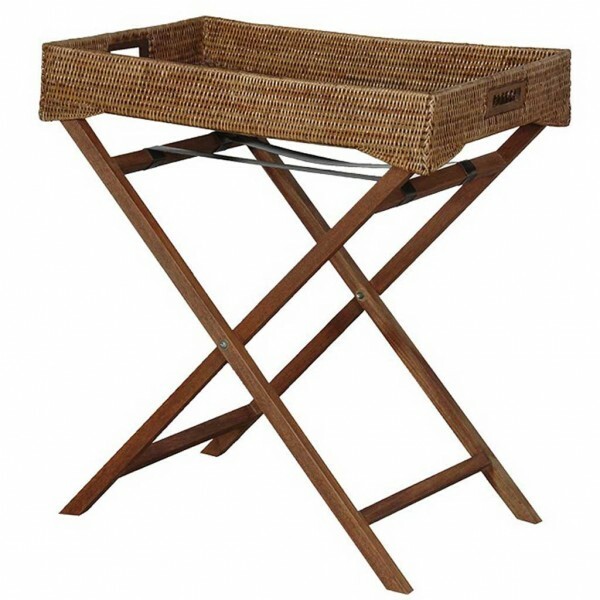 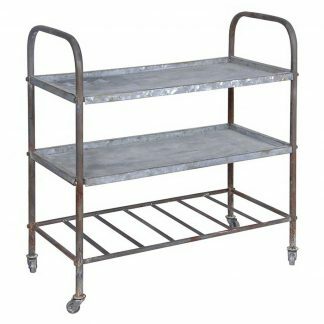 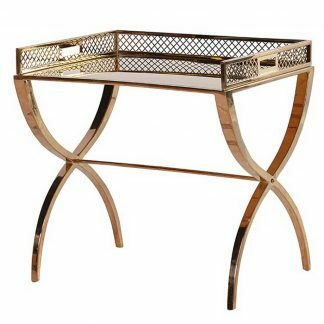 Used on its own or used a side table, this butlers tray is a great foldaway storage solution. 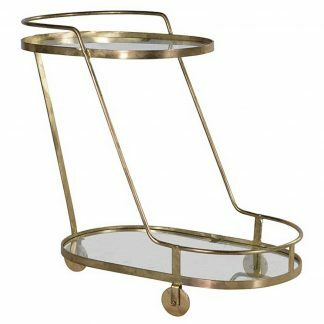 Its looks stlylish and gives a vintage feel where ever its placed.